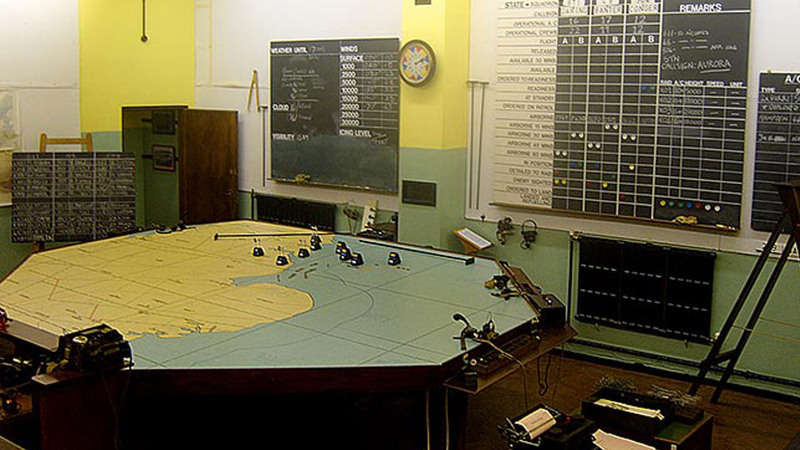 RAF Digby, Lima Sector Operations Room. Originally built in World War I, Digby was one of the Lincolnshire stations chosen for retention by the RAF after the Armistice of 1918. Originally named Scopwick, the station was renamed RAF Digby in July 1920 to avoid potential confusion with RAF Shotwick in Flintshire. The station was reconstructed in 1935-36 and most of the WWI structures replaced by brick-built structures. Two ‘C’ Type hangars replaced the WWI aircraft sheds. When World War II was declared, Digby housed 46 Squadron and 73 Squadron which had arrived equipped with Gauntlet and Gladiator bi-plane fighters respectively, these being replaced with Hurricanes by 1939. On 4 October 193, 229 Squadron was reformed at Digby. Initially equipped with Blenheims, they received Hurricanes in Marcgh 1940 prior to the squadron moving to Wittering, Cambridgeshire in June. 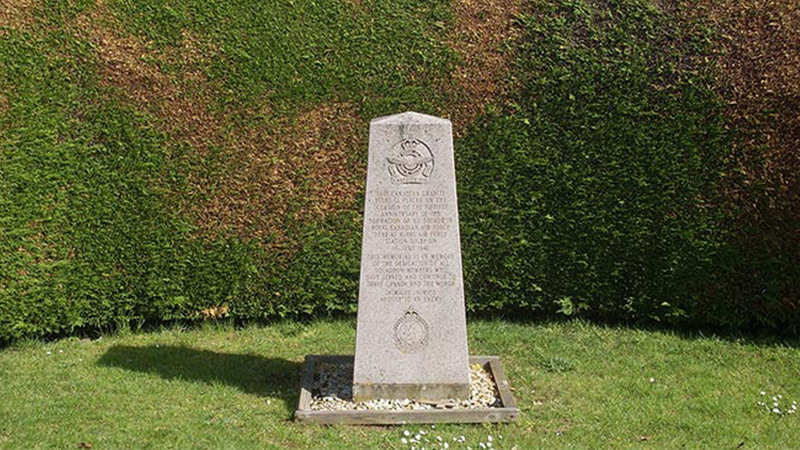 Between 10 October 1939 – 14 December 1940, 611 Squadron with its Spitfires were based at Digby and flew patrols within the 12 Group area. Following the Battle of Britain, many squadrons were rotated through Digby, supposedly being ‘rested’ from the south coast front but in reality, still flying combat and patrol missions. On 16 September 1942, Digby had a change of ownership and became RCAF Digby (Royal Canadian Air Force), relinquishing the title May 1945, when the station reverted back to the RAF. Following the end of the war, Digby transferred to Training Command, being used as a relief landing ground for Cranwell. It was also home to a gliding school for three years. In September 1959 the RAF Arial Erectors School moved in (and are still resident today) and several aerials dominate the airfield site. Digby retains some WWI structures, such as the gymnasium and many WWII buildings, including SHQ, operations black, hangars and MT sheds. Near the station headquarters is a replica Spitfire and RCAF memorial. An American, born in China in 1922 J.G. Magee Jr, enlisted in the Royal Canadian Air Force in 1940 and graduated as a pilot. Within a year, he was sent to England and posted to the newly formed No 412 RCAF Fighter Squadron. Just three months later, on December 11, 1941 Magee was killed. The Spitfire V he was flying collided with an Oxford Trainer from Cranwell Airfield. He was just 19 years old. Widely adopted by aviators and astronauts, US President Ronald Reagan quoted from ‘High Flight’ in the public address that was made in the wake of the Challenger Space Shuttle disaster on 28th January 1986.